Apple iPad is nice tablet which can be used in many different ways. One of them is to use it as a webmaster tool. Using the right apps you can turn the iPad into the webmaster’s everyday helper. Apple iPad is also a great tool for the website administrators. 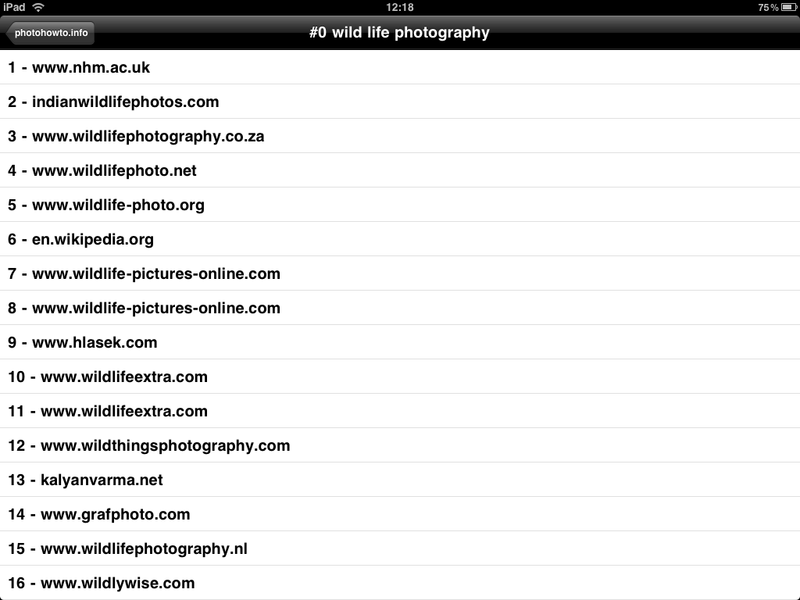 There are some interesting applications for webmasters for the iOS platform. I like the iPad because of its usability, immediate start and small size. Using the WiFi you can connect to the internet almost everywhere and if you have a 3G version, you there is no problem with connectivity at all. So you can use it for everyday work on the roads. When you do searching of the “SEO” keyword in the AppStore, you will find many apps facing as a great SEO tool for the iPad. Most of them are paid apps, but there are also some free tools. You can check the Serps, a tool that lets you check Google Search Engine Positions from your iPad. You will get report for the specified keywords and the provided domain. If you are using Raven Internet Marketing Tools, you can check their free apps for iPad, which will provide you some useful graphs. It is called Raven Tools. Another free SEO app for the iPad is SEO Analyst. It searches the content of the provided page and shows you the keywords. Not much useful in the current version I think, but in the future it can offer more features. If you have no problems with paid apps, I recommend SEO Search Ranking which will monitor your websites and their SERPs for unlimited number of keywords. It uses Google AJAX API so you don’t have to worry about being blocked by Google. SEO Search Ranking works with the top 64 result, which is the Google API limitation. SEO Manager is a similar tool. It doesn’t use Google API but simulates real search queries. This can lead to more real results, but you should remember that the Google may block you if you have a large amount of queries. Currently, there is only one page of results when you search SSH in App Store on your iPad. None of them is free. Based on the rating I think the best is the iSSH – SSH / VNC Console. It is the most expensive app, but I think it is the very good investment. If you have ever thought about managing your server via the iPad there is nothing better. iSSH gives you the ability to run all the command on your Linux machines, view the files using the Midnight Commander on the iPad, or use multiple simultaneous connections. It supports tunneled X server, so you can view your Linux desktop on your iPad. Apple iPad can be used as a viewer for the statistics provided by the Google Analytics service. Take it to the business meetings and show your partners your website stats. There are several apps for viewing Google Analytics results on the iPad. My recommendation is Analytics for iPad which will show you the stats in the nice interface. However some people may not like that this app uses the same graphs as can be seen in the GA web interface. Another Google Analytics viewer for the iPad is a free app called Analytics Doctor HD. This app is very fast, uses Google Analytics API and provides its own graphics with graphs and numbers. However the free version comes with the advertisement on the top of the screen. Nice Google Analytics application for the iPad is also Analytics HD. 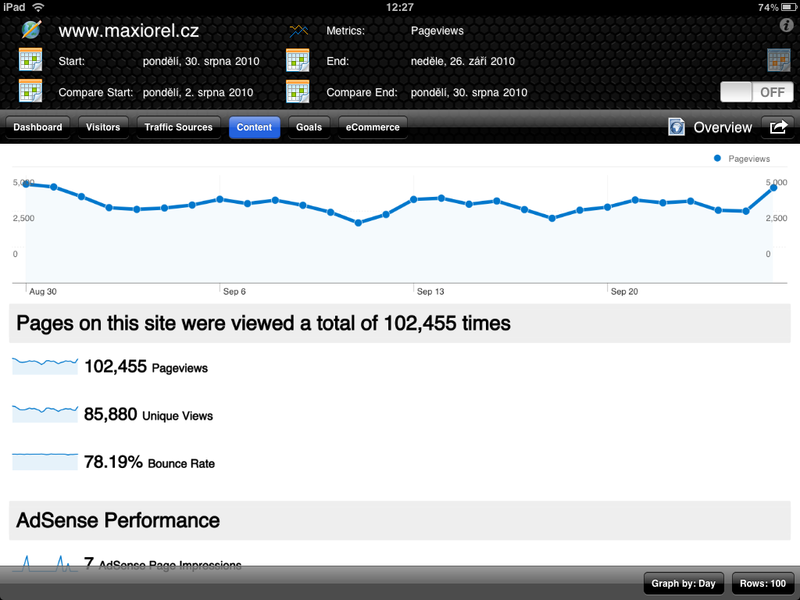 On the iPad you can also find a client for viewing website statistics provided by the free open source project Piwik. The same named app for the iPad is paid. There are several Google AdSense clients for the iPhone, but I did found only one app for the iPad. It is called SimpleSense and after the synchronization with your Google AdSense account shows you the income for the day, month, or a week. The paid version can work with the ad channels too. The better situation is with the blogging clients for the iPad. I use the BlogPress which is nice client compatible with most of the blogging APIs. It supports the Drupal which is important for me. 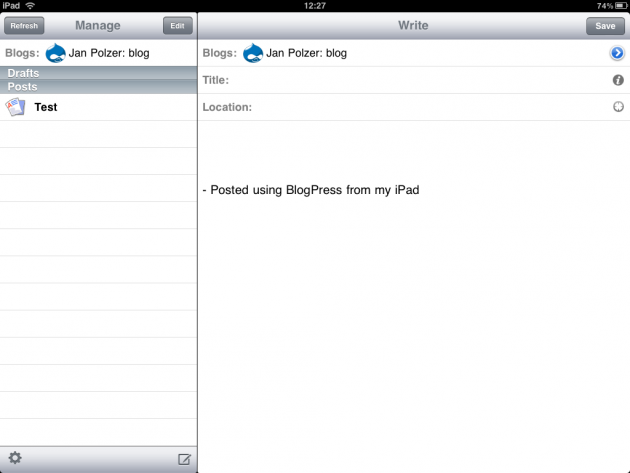 Another blogging client for the iPad is WordPress allowing you to manage your WordPress blogs. I’m not sure if the iPad is a good tool for creating website’s layouts or the complete website graphics. But for the simple sketches when you take a time in the train or bus you can use the Jot! Free application. It can be used to sketch simple layout for your new websites. These sketches can be used as a template for the final drawings in the graphic editor on your computer. As a webmaster or a man/woman who administer some websites you can be interested in some nice reading in this niche. Apple iPad is great as an e-book reader and you can use it for viewing the articles for the webmasters. My personal tip is the Web Designer Magazine app which itself is free and offers you to buy and download the issues of the same named magazine from the Pixel Mags. Each month you will get useful information and tips for your work. Another useful reading can be provided by the Web Design and Usability Guidelines or Website Magazine Digital. Any other webmaster apps for the iPad? 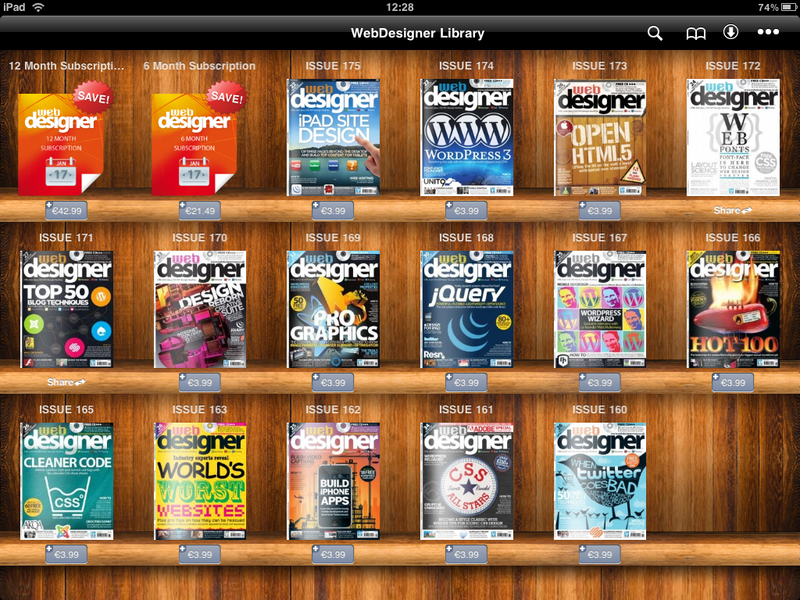 There can be other great webdesigner apps for the iPad, and of course I couldn’t know all of them. A nice app which is not mentioned above is D6 sheet, useful tools for the Drupal developers. If you know or if you develop a nice app for the websigners who owns the iPad, let us know in the comments below this article.